Cisco released version 3.0 of its Application Centric Infrastructure (Cisco ACI) software-defined networking (SDN) solution for data centers and enterprise clouds. The latest software adds key features for multi-site scalability, container integration, and enhanced security. 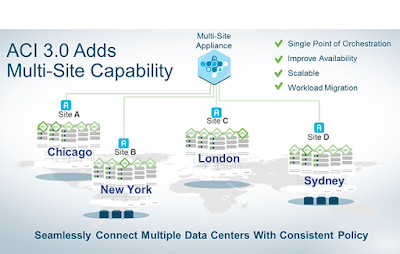 Multi-site Management: Customers can seamlessly connect and manage multiple ACI fabrics that are geographically distributed to improve availability by isolating fault domains, and provide a global view of network policy through a single management portal. This greatly simplifies disaster recovery and the ability to scale out applications. Kubernetes Integration: Customers can deploy their workloads as micro-services in containers, define ACI network policy for these through Kubernetes, and get unified networking constructs for containers, virtual machines, and bare-metal. This brings the same level of deep integration to containers ACI has had with numerous hypervisors. Improved Operational Flexibility and Visibility: The new Next Gen ACI User Interface improves usability with new consistent layouts and simplified topology views, and troubleshooting wizards. In addition, ACI now includes graceful insertion and removal, support for mixed operating systems and quota management, and latency measurements across fabric end points for troubleshooting. Security: ACI 3.0 delivers new capabilities to protect networks by mitigating attacks such as IP/MAC spoofing with First Hop Security integration, automatically authenticating workloads in-band and placing them in trusted security groups, and support for granular policy enforcement for end points within the same security group. “As our customers shift to multi-cloud strategies, they are seeking ways to simplify the management and scalability of their environments,” said Ish Limkakeng, senior vice president for data center networking at Cisco. CENIC, the Pacific Northwest Gigapop (PNWGP), and Internet2 will renew their collaboration to provide networking capabilities across the entire West Coast of the United States. The agreement will extend high-bandwidth connectivity to the academic community using CENIC and PNWGP fiber-optic cable and Internet2’s Ciena optical system. This supports the West Coast portion of Internet2’s nationwide backbone network. It also supports other CENIC and PNWGP networks and network initiatives, including the West Coast backbone of the Pacific Wave International Exchange, as well as the underlying infrastructure for the core of the National Science Foundation-funded Pacific Research Platform (PRP). The term of the renewal is five years (2017 – 2022) with additional extensions possible. Pacific Wave connects twenty-seven networks representing more than 40 countries throughout the Pacific Rim, the Americas, and the Middle East. Pacific Wave has access nodes in Los Angeles, San Jose, Seattle, Denver, Albuquerque, and El Paso and is directly connected to the StarLight International Exchange in Chicago, providing connectivity to all major European R&E networks. Additional new nodes of Pacific Wave are planned for December 2017 in Texas and Oklahoma. “This is a significant collaboration with Internet2, one of several, which enables network interconnection and transit capabilities for our U.S. and international research partners in order to achieve the performance and service capabilities required by researchers who depend heavily on high-speed access to large datasets, remote scientific instruments, multi-institutional collaborations, and computing resources,” noted Louis Fox, president and CEO of CENIC. Bharti Airtel, which currently ranks as India’s largest telecommunications services provider, will acquire the Tata Teleservices' Consumer Mobile Businesses (CMB) and its operations across India in nineteen circles, representing the bulk of India’s population and customer base. The deal is described as a merger that will be conducted on a debt-free and cash-free basis pending regulatory approval. Tata's 178.5 MHz spectrum (of which 71.3 MHz is liberalised) in the 850, 1800 & 2100 MHz bands will be transferred to Bharti Airtel. The transaction will also provide Bharti Airtel with an indefeasible right to use (IRU) for part of the existing fibre network of Tata. Tata and Bharti Airtel agreed to further explore mutual areas of cooperation. 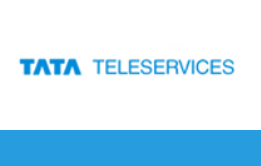 Tata is also in initial stages of exploring combination of its Enterprise Business with Tata Communications and its Retail Fixed Line and Broadband business with Tata Sky. AT&T said damage caused by recent hurricanes and the earthquake in Mexico will decrease its Q3 2017 consolidated revenues nearly $90 million and its reported pre-tax earnings about $210 million, or $0.02 per diluted share. In an SEC filing, AT&T said it continues to assess damage to its network and that further charges in Q4 are likely. It should be noted that AT&T's network in Puerto Rico completely collapsed following Hurricane Maria on September 20 (as did the mobile networks of four other carriers serving the island), and that as of October 14 only partial services have been restored and that many cell towers and backhaul links remain offline. In its SEC filing, AT&T also noted that it lost about 90,000 video subscribers in Q3 due to heightened competition in traditional pay TV markets and over-the-top services, hurricanes and stricter credit standards. AT&T's own over-the-top DIRECTV NOW service added 300,000 users. 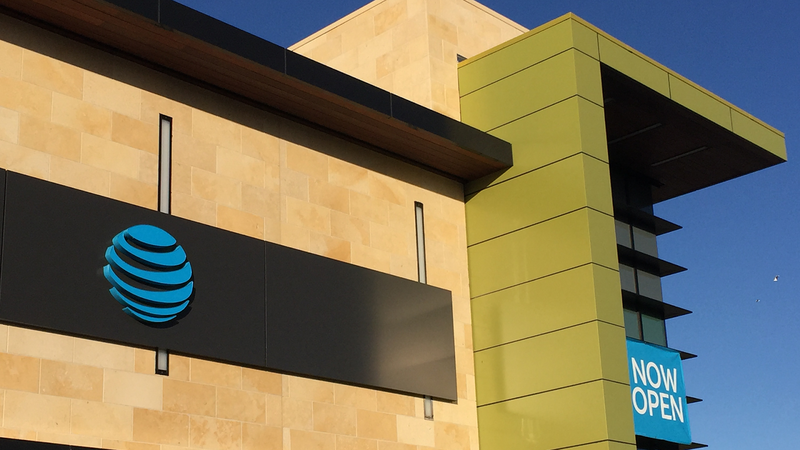 On the positive side, AT&T continued to expand its postpaid smartphone base even as it had nearly 900,000 fewer handset equipment upgrades than in the year-ago third quarter. China Unicom officially opened a subsidiary in Brazil. This marks the second overseas subsidiary of China Unicom International following the previous establishment of a local operating company in Russia. China Unicom's network operates in 31 nations and has 70 overseas POPs. The opening ceremony was attended by Consul General Chen Peijie, Consul General of the Chinese Consulate in Sao Paulo, Andre Borges, Director of the Office of the Ministry of Science and Technology Innovation and Communications of Brazil, Director of the Department of International Relations and Foreign Trade of the São Paulo State Industrial Association Tomaz Zonoto (Thomaz Zanotto), China Unicom Deputy General Manager Jiang Zhengxin. In September, news broke that China Mobile is negotiating to acquire the mobile division of Oi, the largest telecommunications company in Brazil and South America, according to report in The China Daily. The deal has not been finalized. China Mobile might have to pay US$3.5 billion in fines owed by Oi to the Brazilian telecoms authority, known as Agencia Nacional de Telecomunicacoes, or Anatel.